I am feeling really soft inside right at the moment. You know how there are moments where one might be missing the boat a little bit and then something happens to come along and bring a little perspective. Sometimes it doesn't have to be anything life shattering thank goodness. Anyway the other night it was late and my husband wasn't home so I let one of my little boys who was very restless come lay in my bed for a while. At first it was because I didn't want him to wake the other boys. I soon discovered that his wakefulness was such a gift to me. In the beginning Wells quietly laid there in bed and I felt really good about that because I was so tired. A few moments later a little hand tapped me on the shoulder and said, "Momma do you want to play rock, paper scissors?" It was the most random time for a four year old to want to play a game and believe me I was fully prepared to tell him no but something inside of me could not resist. It was dark so with a little help of my cell phone light we pressed forward with the best game of rock, paper, scissors ever. No doubt the glisten in buddy boy's eye and the most infectious laugh helped to up the stock of the game when we played that night. I then thought about how there may be many moments I might be missing like this because of being consumed and distracted with other things. 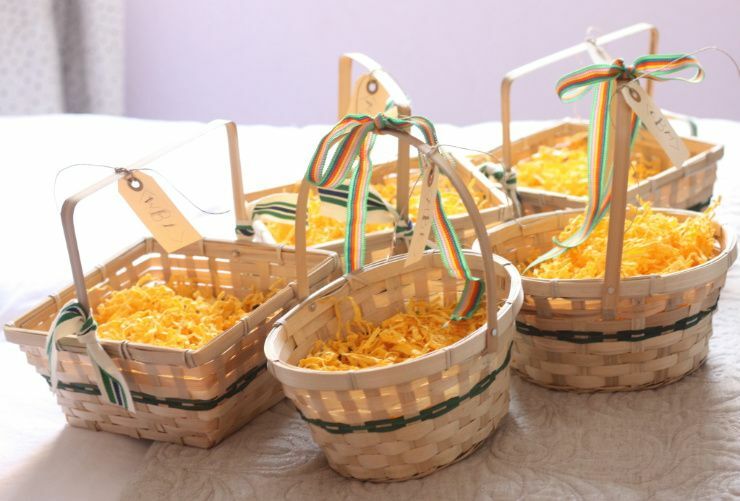 I thought it was a pretty scene when the girls went into the guest room where camp Easter was set up (that is the room where all of the Easter baskets were assembled and set up). The room sort of looked like an Easter egg in all its lilac glory. I feel kind of bad because Maren wanted to use the above pink and purple "fancy" Easter basket this year but I told her she needed to use the one I had already set out. That is when she started rolling around the bed saying, "PLEEEEAAAASE" over and over and over and over again. P.S. 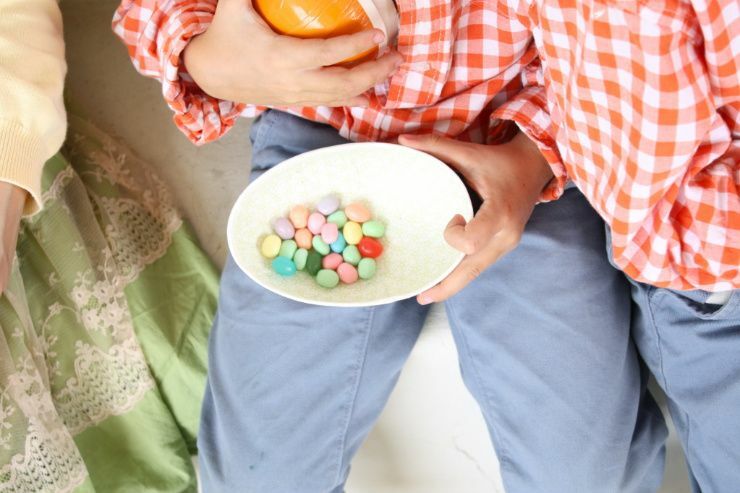 - I think candy helps kids to sit still and not wiggle about at such an unnatural frequency. I love that little moment you shared. I totally get that. When I can catch myself - those rare times! - and relax for just a second, and not be in such a hurry (to do what, exactly??) and just allow this little moment to unfold...well, I never regret it. Also, may I be the first to say that you look absolutely BEAUTIFUL! Holy smokes. I want to pet your shirt, it looks so soft. I love moments like that! I opened my freezer this week to find a plastic glove filled with water and a long red rope attached. What in the world?! I quickly realized I'd miss stuff like this one day way too soon. Your family is precious, and I love the bow tie! 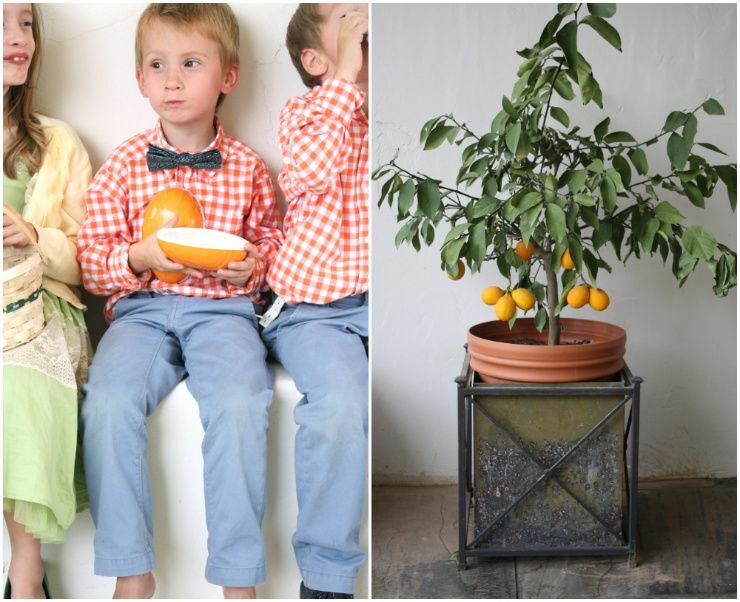 All of your photos are so crisp and beautiful and your brood is a bunch or adorable mini-mes! Here's to enjoying the moment! love the story of rock paper scissors. reminds me of king kong a bit except it's a sweeter story. the kiddos sure love adorable. What a great story. You're so right about the little moments really putting things into perspective. 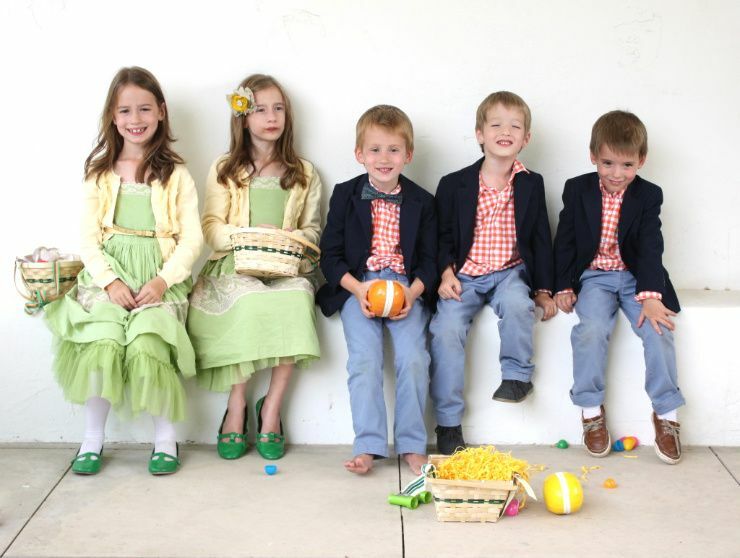 Love the photos of the kids in their easter outfits against the white wall. Lovely story and family! I have to remind myself to take joy in the special moments as well, especially with motherhood. One day they will grow up and move away, I could cry typing:) AND love that one of your little guys has no shoes on. Remi pulled his shoes off around every corner of NYC today. I finally gave up and let everyone judge me for having a sockless 12 month old out in 50 degree weather. You have such a beautiful family - they grow so quickly - its nice to have those fun little moments, and those are usually the times they remember most. This has nothing to do with your post but you are so rocking the yellow skirt and snake belt. What a sweet story! I think we busy moms need to remember to slow down and enjoy these small moments in our kids lives. They do not take a lot of time, but are so special! I also would love to know where your shoes are from, they are beautiful. 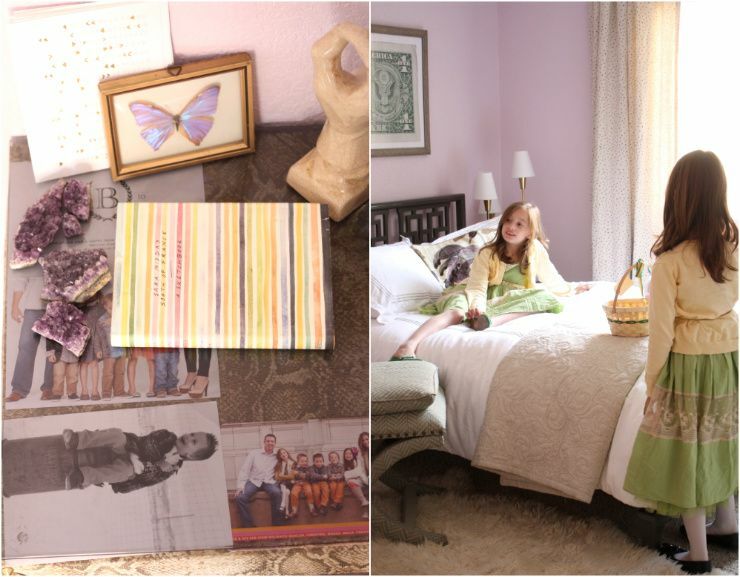 I adore the lavender color in the girls' room! 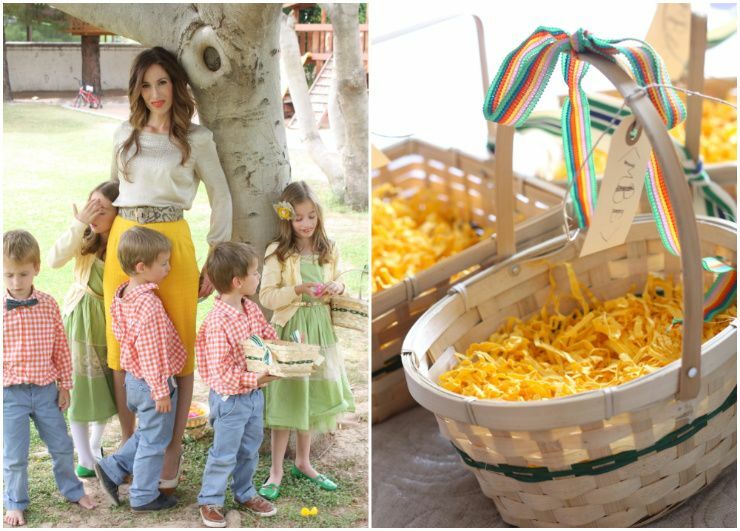 How cute are your Easter baskets?! The boys look so handsome in their gingham oxfords. 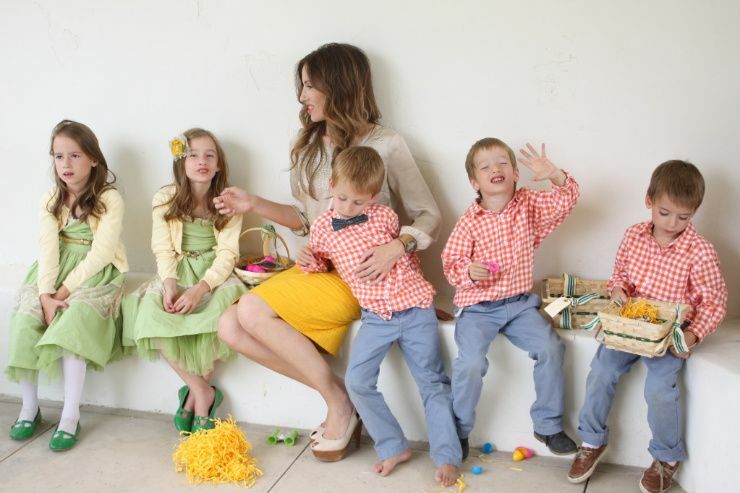 I've always wanted 5 kids (3 boys, 2 girls) - you make it look way less chaotic than one might think! Dang, your kiddos are cute. That bow tie is just about the cutest thing I've seen in awhile. Looks like a lovely Easter, love all your photos and the rock, paper, scissor story was just precious. Thanks for sharing that! 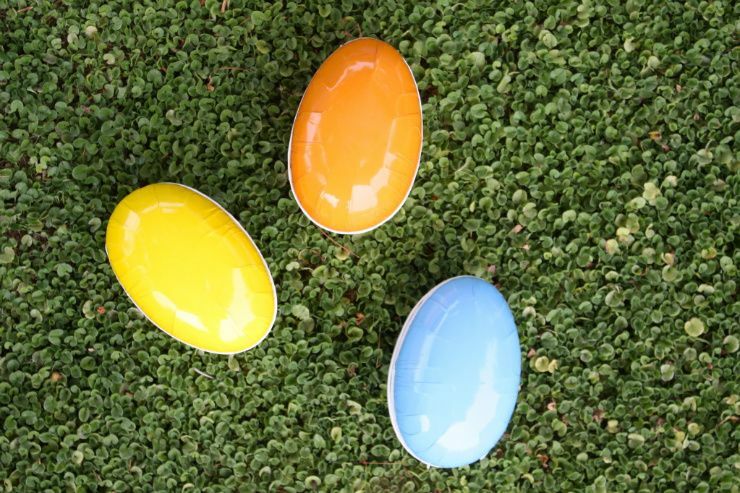 You all were just a vision of Easter loveliness! 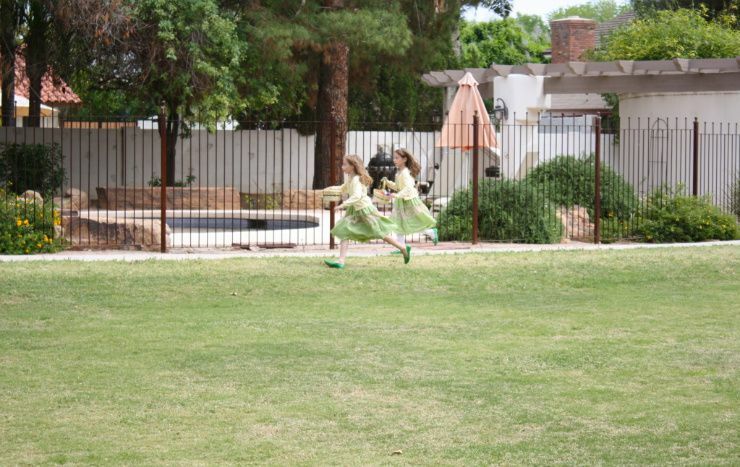 The girls' green dresses are beautiful. 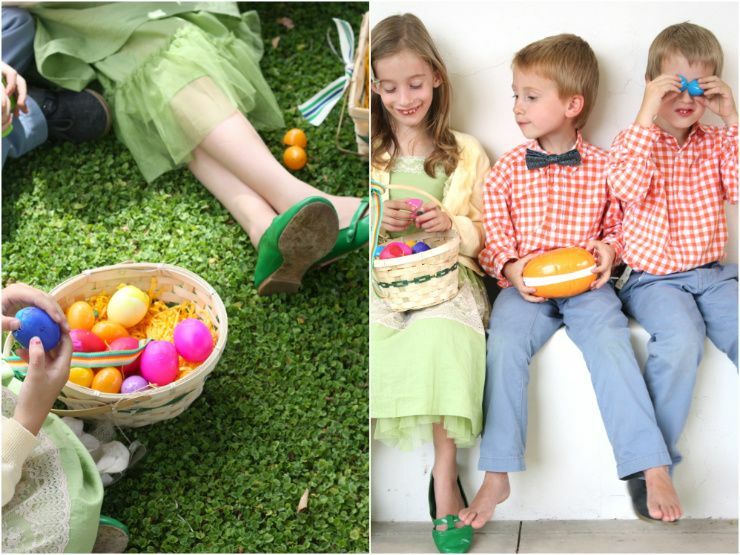 We were very untrad this year...still had the egg hunt and Easter story and such, but no bonnets or dresses (not even for me, ack!). It was hard to go all out when my kitchen was all torn up and I couldn't cook. Thank you for sharing your gorgeous day! It's so sweet!Love the story you shared!The kids are so cute! I am so late, but what a beautiful photo. The colors are superb! Can you tell me more about the colorful pillow sham? I want that!